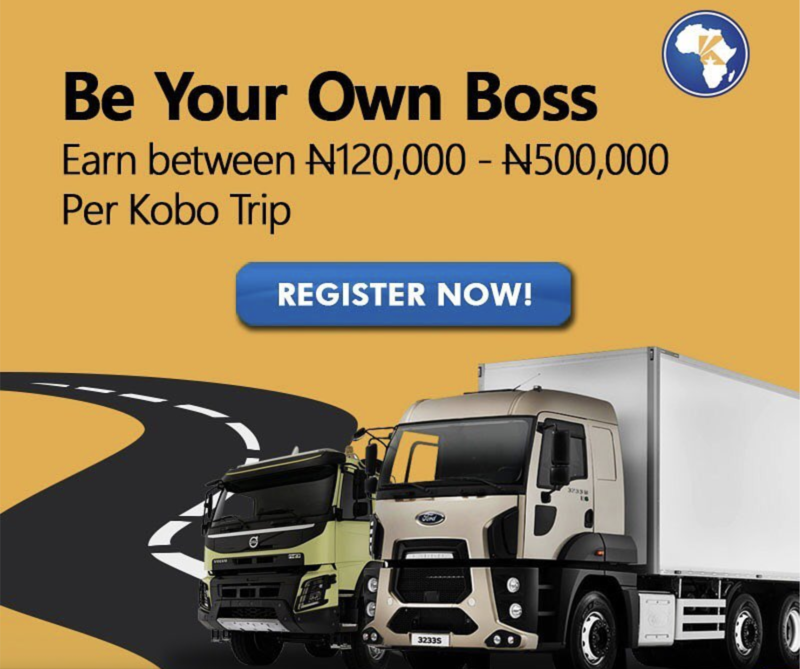 Nigerian trucking logistics startup Kobo360 has raised $6 million to upgrade its platform and expand operations to Ghana, Togo and Cote D’Ivoire. The company — with an Uber -like app that connects truckers and companies with freight needs — gained the equity financing in an IFC-led investment. The funding saw participation from others, including TLcom Capital and Y Combinator. With the investment, Kobo360 aims to become more than a trucking transit app. “We started off as an app, but our goal is to build a global logistics operating system. We’re no longer an app, we’re a platform,” founder Obi Ozor told TechCrunch. In addition to connecting truckers, producers and distributors, the company is building that platform to offer supply chain management tools for enterprise customers. “Large enterprises are asking us for very specific features related to movement, tracking and sales of their goods. We either integrate other services, like SAP, into Kobo or we build those solutions into our platform directly,” said Ozor. Kobo360 will start by developing its API and opening it up to large enterprise customers. “We want clients to be able to use our Kobo dashboard for everything; moving goods, tracking, sales and accounting…and tackling their challenges,” said Ozor. Kobo360 will also build more physical presence throughout Nigeria to service its business. 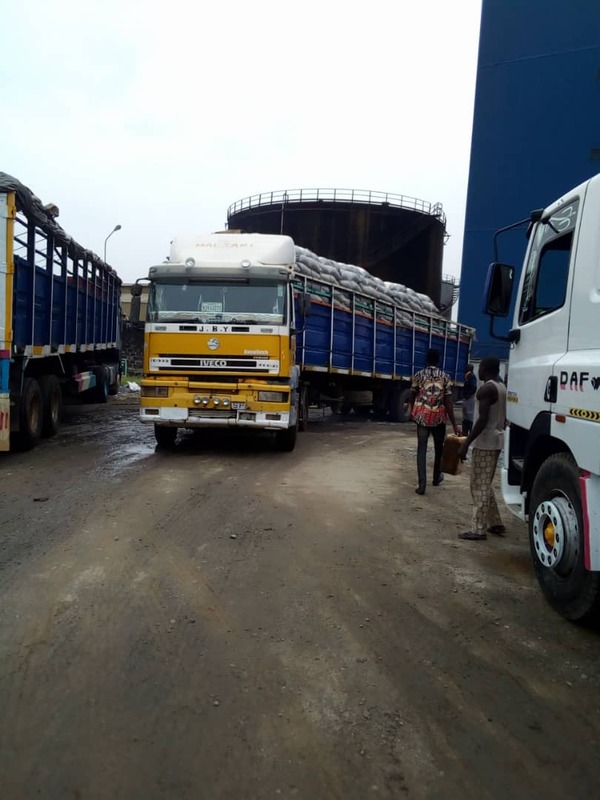 “We’ll open 100 hubs before the end of 2019…to be able to help operations collect proof of delivery, to monitor trucks on the roads and have closer access to truck owners for vehicle inspection and training,” said Ozor. Kobo360 will add more warehousing capabilities, “to support our reverse logistics business” — one of the ways the company brings prices down by matching trucks with return freight after they drop their loads, rather than returning empty, according to Ozor. Kobo360 will also use its $6 million investment to expand programs and services for its drivers, something Ozor sees as a strategic priority. “The day you neglect your drivers you are not going to have a company, only issues. If Uber were more driver-focused it would be a trillion-dollar company today,” he said. The startup offers drivers training and group programs on insurance, discounted petrol and vehicle financing (KoboWin). Drivers on the Kobo360 app earn on average of approximately $5,000 per month, according to Ozor. Under KoboCare, Kobo360 has also created an HMO for drivers and an incentive-based program to pay for education. “We give school fee support, a 5,000 Naira bonus per trip for drivers toward educational expenses for their kids,” said Ozor. Kobo360 will complete limited expansion into new markets Ghana, Togo and Cote D’Ivoire in 2019. “The expansion will be with existing customers, one in the port operations business, one in FMCG and another in agriculture,” said Ozor. Ozor thinks the startup’s asset-free, digital platform and business model can outpace traditional long-haul 3PL providers in Nigeria by handling more volume at cheaper prices. “Owning trucks is just too difficult to manage. The best scalable model is to aggregate trucks,” he told TechCrunch in a previous interview. With the latest investment, IFC’s regional head for Africa Wale Ayeni and TLcom senior partner Omobola Johnson will join Kobo360’s board. “There’s a lot of inefficiencies in long-haul freight in Africa…and they’re building a platform that can help a lot of these issues,” said Ayeni of Kobo360’s appeal as an investment. The company has served 900 businesses, aggregated a fleet of 8,000 drivers and moved 155 million kilograms, per company stats. Top clients include Honeywell, Olam, Unilever, Dangote and DHL. MarketLine estimated the value of Nigeria’s transportation sector in 2016 at $6 billion, with 99.4 percent comprising road freight. Logistics has become an active space in Africa’s tech sector, with startup entrepreneurs connecting digital to delivery models. In Nigeria, Jumia founder Tunde Kehinde departed and founded Africa Courier Express. Startup Max.ng is wrapping an app around motorcycles as an e-delivery platform. Nairobi-based Lori Systems has moved into digital coordination of trucking in East Africa. And U.S.-based Zipline — which launched drone delivery of commercial medical supplies in partnership with the government of Rwanda and support of UPS — is in “process of expanding to several other countries,” according to a spokesperson. Kobo360 has plans for broader Africa expansion but would not name additional countries yet. Ozor said the company is profitable, though the startup does not release financial results. Wale Ayeni also wouldn’t divulge revenue figures, but confirmed IFC’s did full “legal and financial due diligence on Kobo’s stats,” as part of the investment. Ozor named Lori Systems as Kobo360’s closest African startup competitor. On the biggest challenge to revenue generation, it’s all about service delivery and execution, according to Ozor. “We already have volume and demand in the market. The biggest threat to revenues is if Kobo360’s platform doesn’t succeed in solving our client’s problems and bringing reliability to their needs,” he said. How can tech unlock value across Africa? Copyright © 2016 TLcom Capital LLP. All rights reserved.